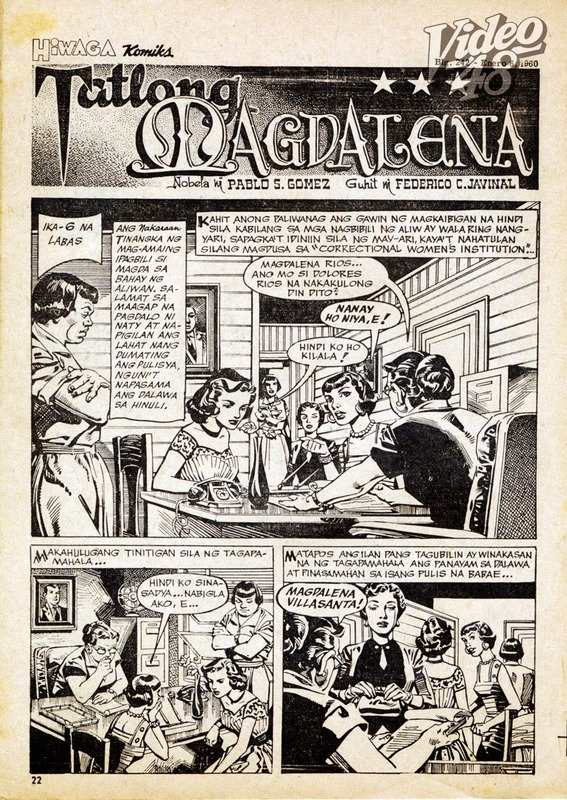 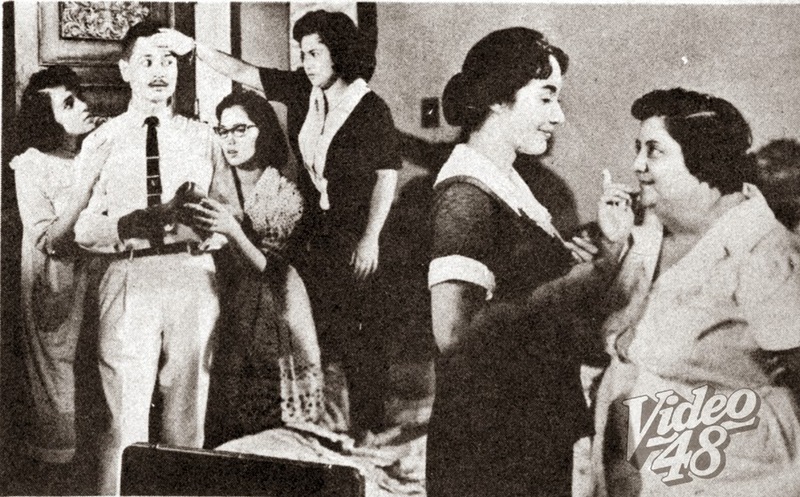 A scene from Sampaguita Pictures'"Amy, Susie and Tessie"
Second Story- "Anak ni Satanas"
Third Story- "Kadena de Amor"
Even the great Gerry De Leon was not spared by the Board of Censors. 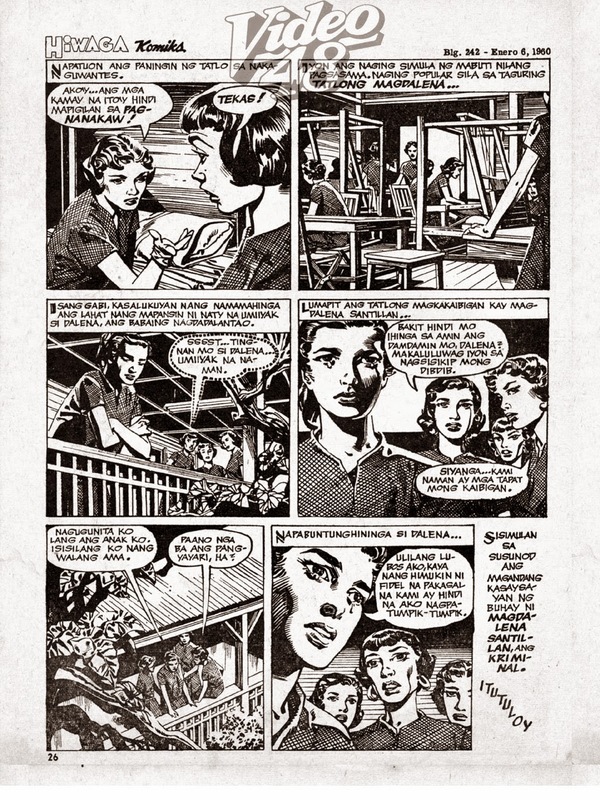 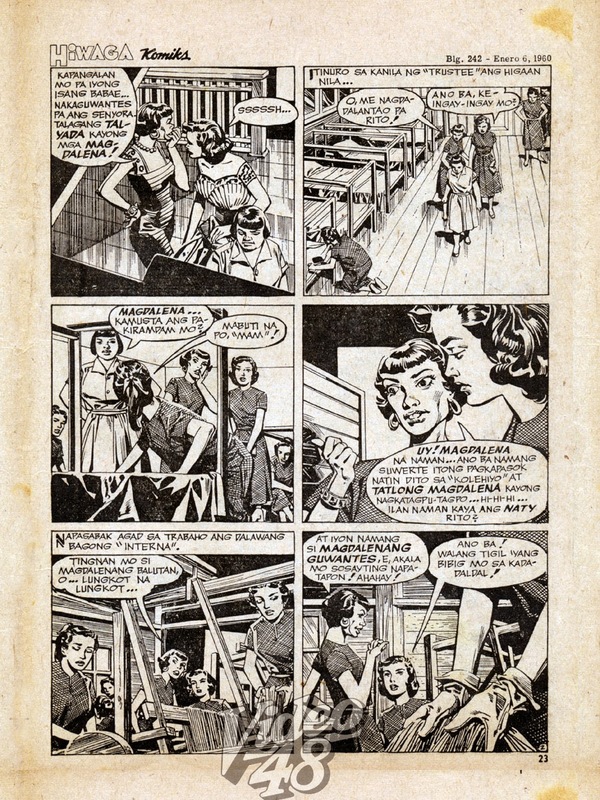 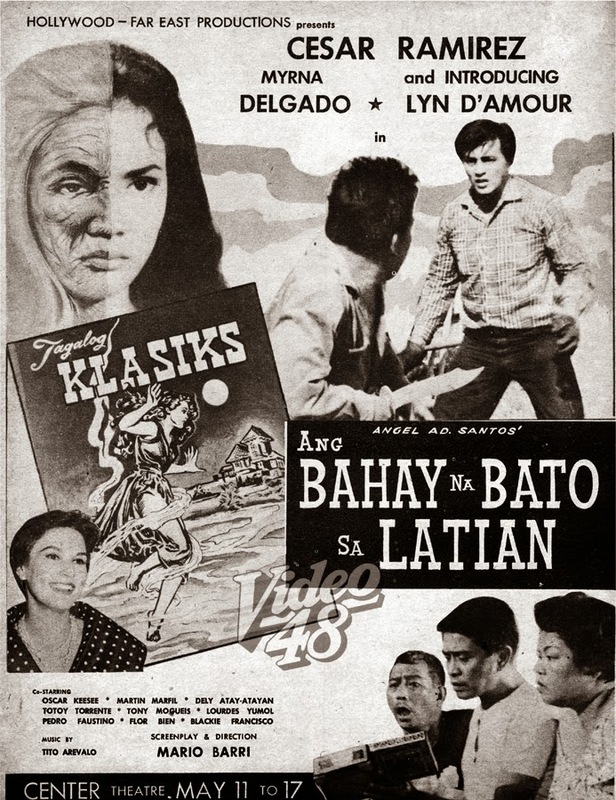 His first, Si Eva at si Adan (1954), a comedy on sexual identities, raised a furor with the Board of Censors. 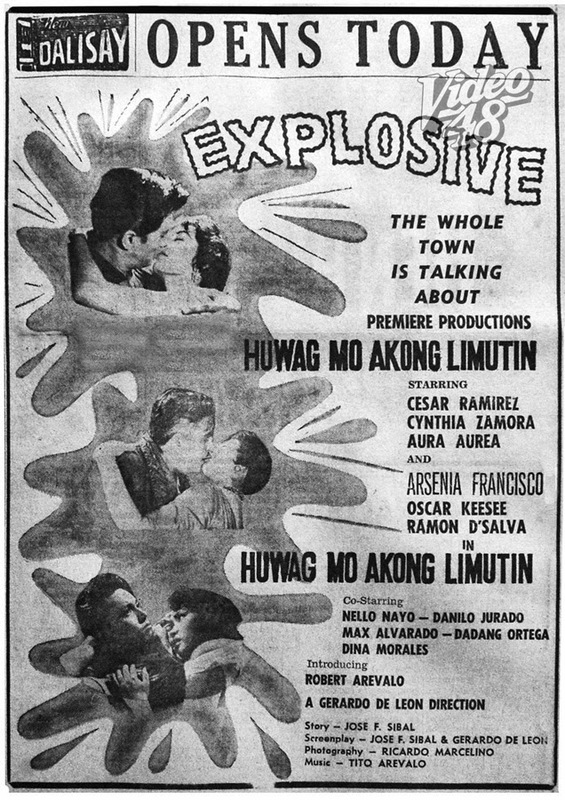 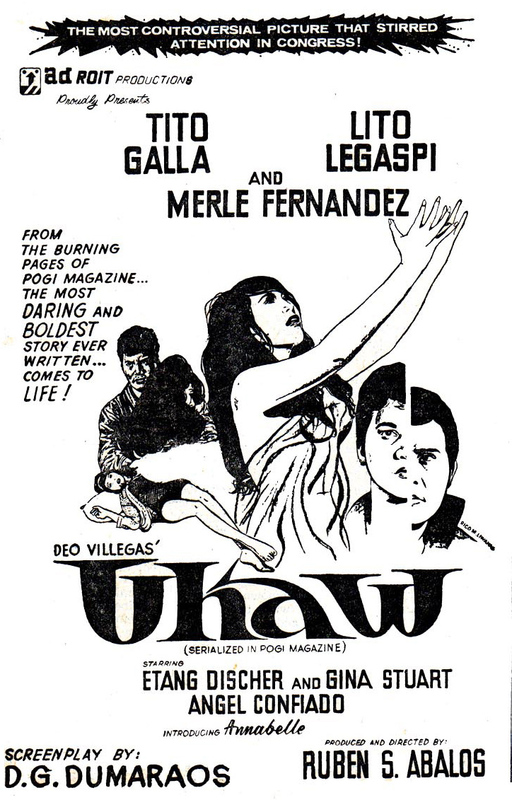 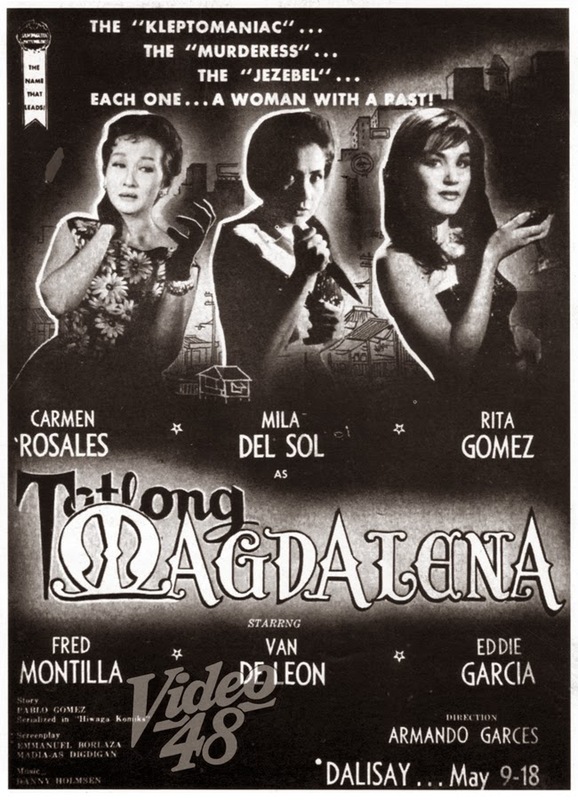 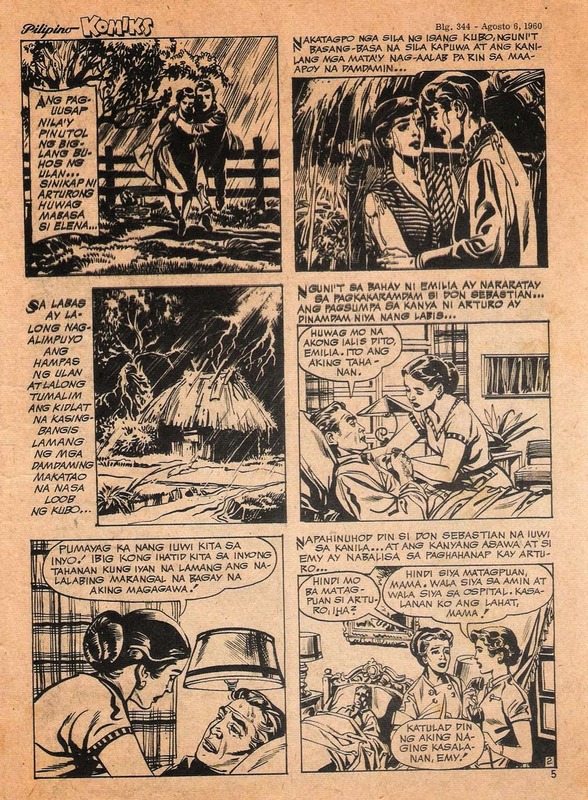 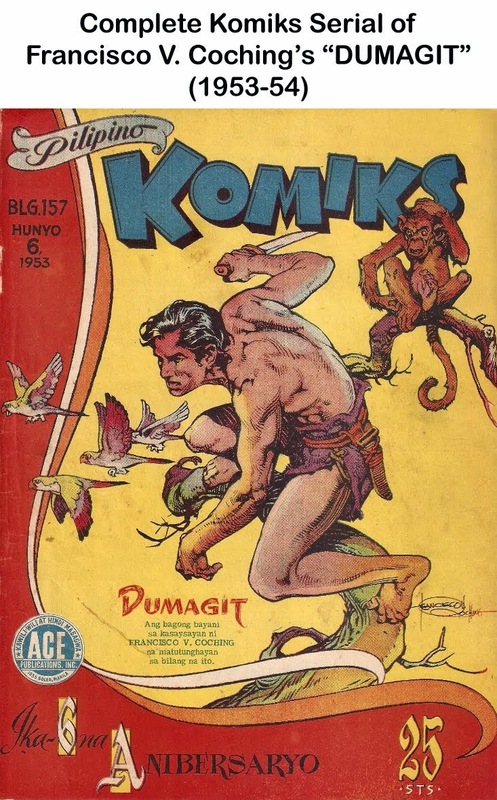 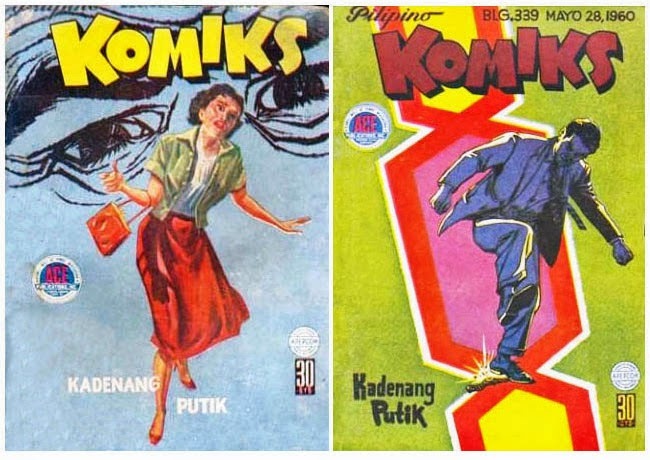 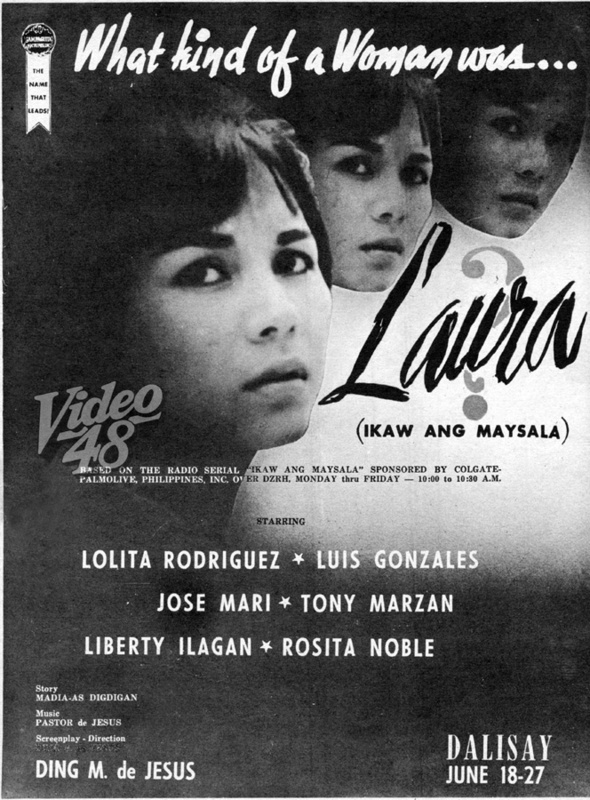 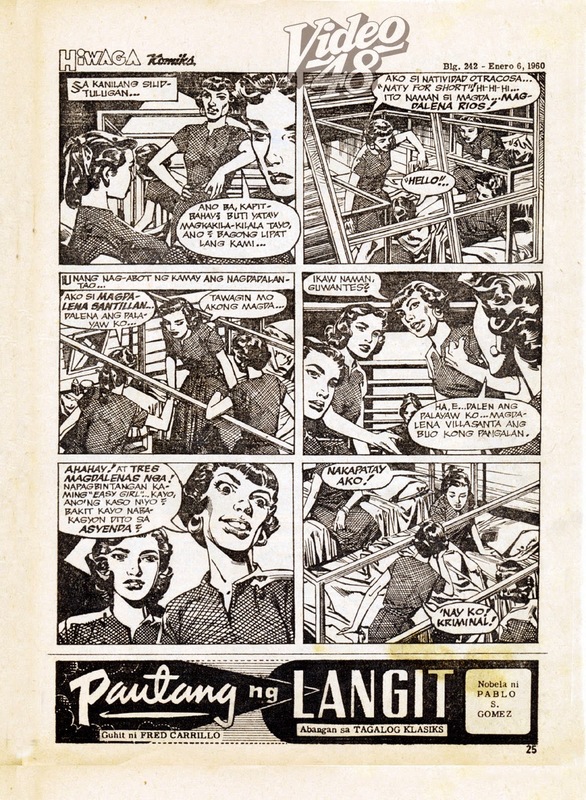 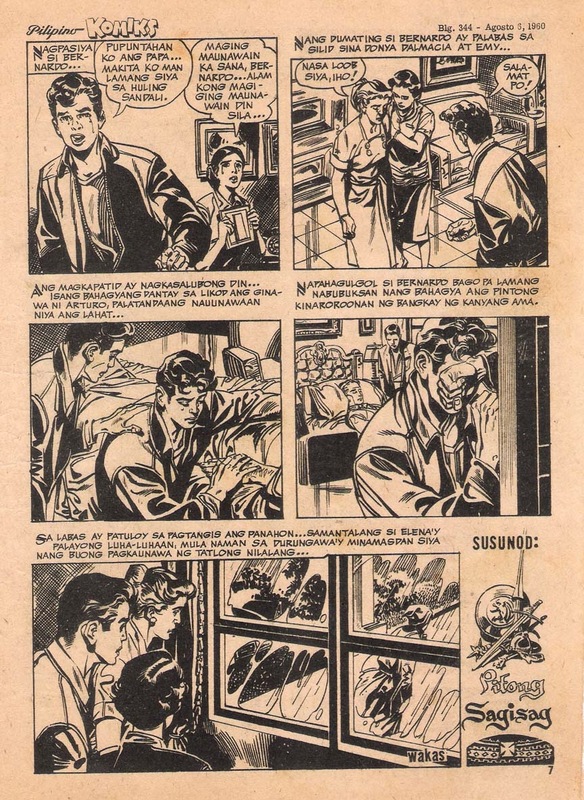 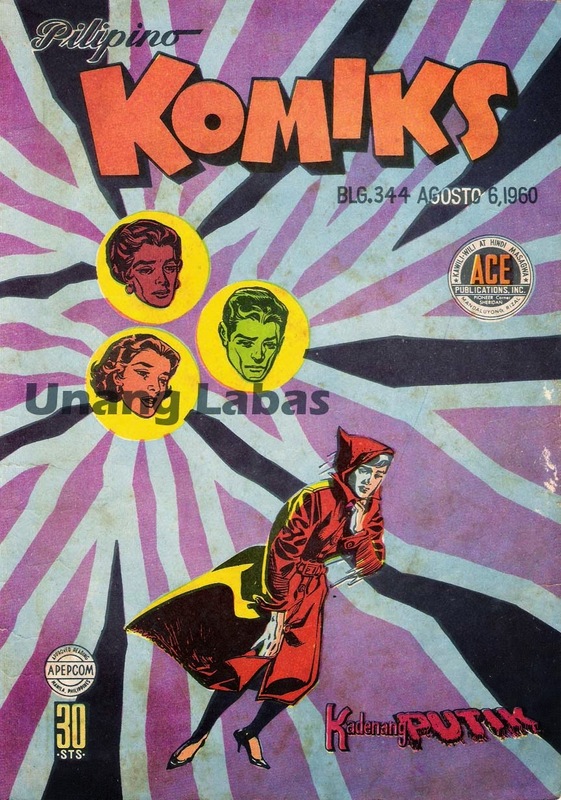 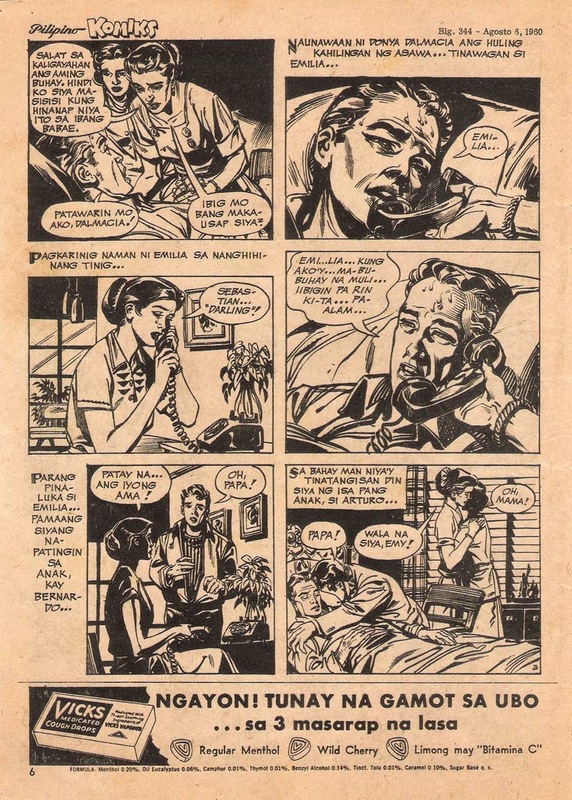 In 1960, Huwag Mo Akong Limutin, a drama on infidelity and impotence, was banned. 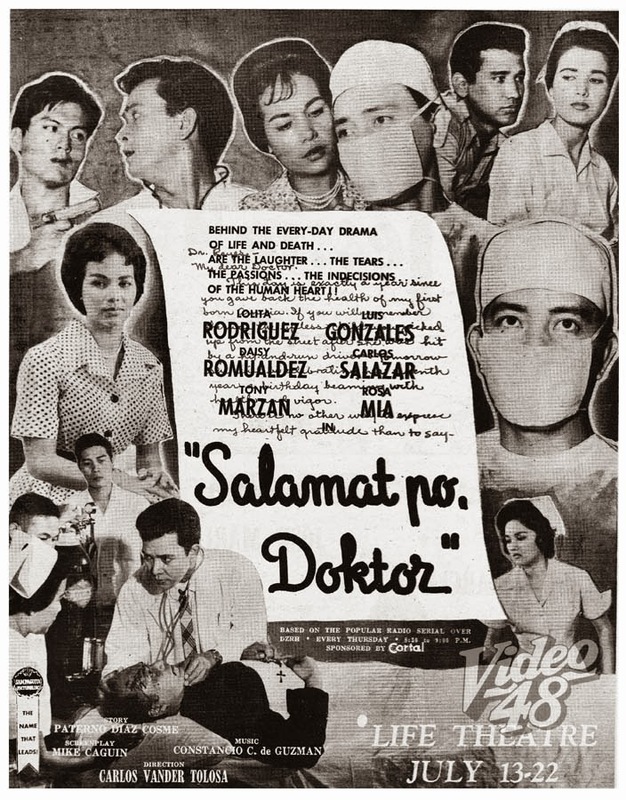 The board cited three grounds: 1.marital infidelity; 2. abortion; and 3. kidnapping. 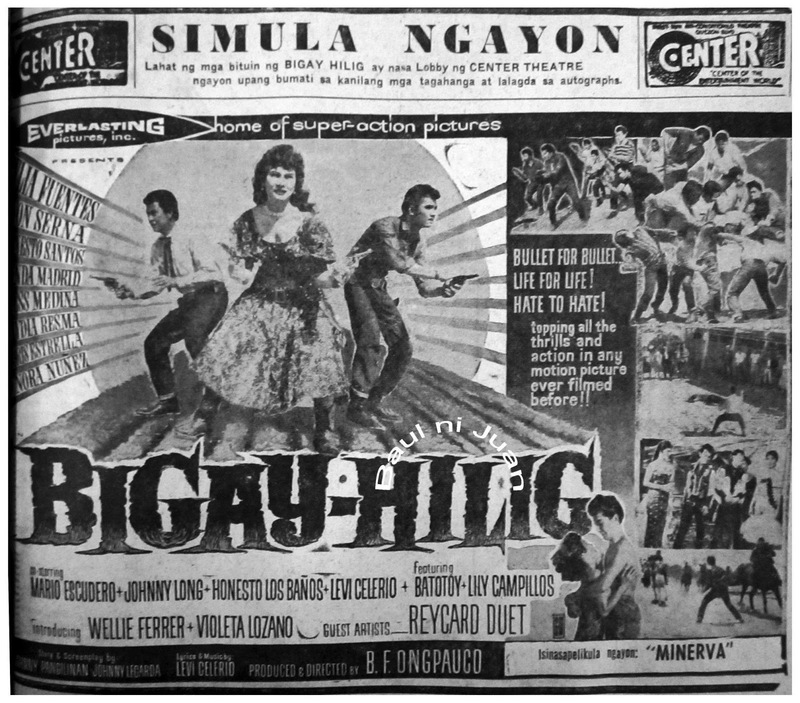 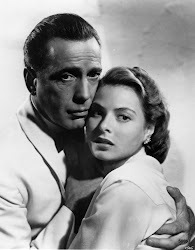 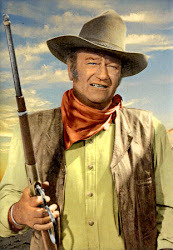 The controversy somehow lies on how one interpret the censorship guidelines--- the primary function of motion picture censorship is to guard against the exhibition of motion pictures that warp, corrode, or break down established and accepted moral codes and encourage or abet immoral acts. 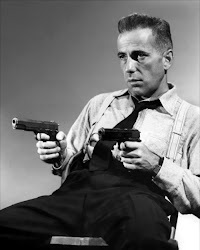 It exists primarily to protect moral institutions of our society. 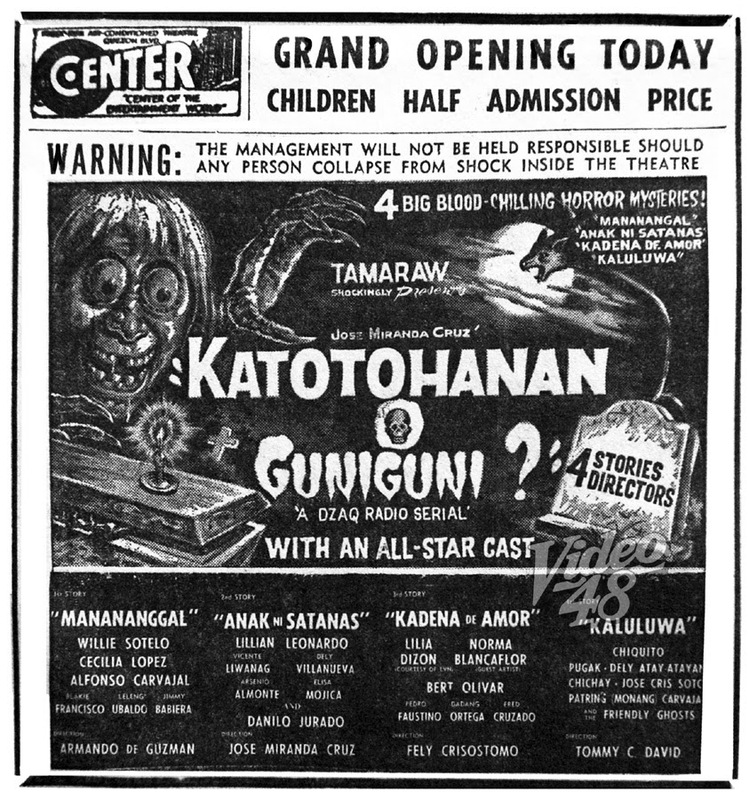 An article (below- click image to read) was written on the controversy and why the movie must be allowed to be exhibited. 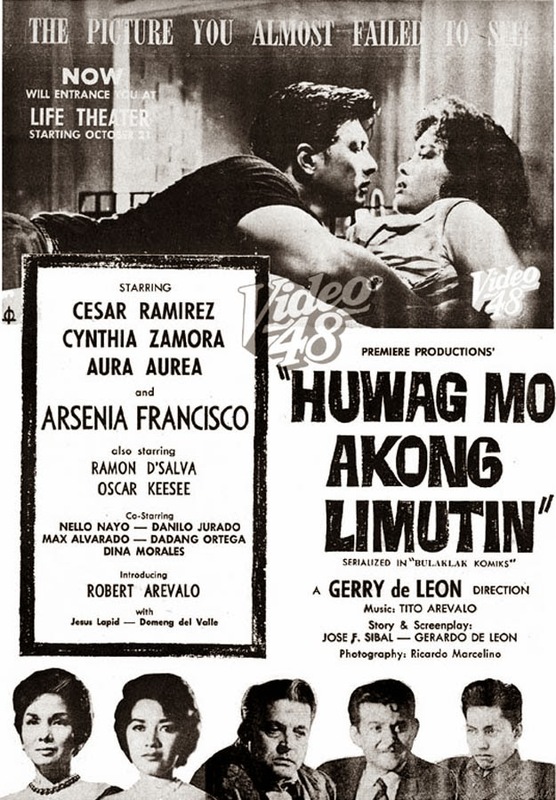 Huwag Mo Akong Limutin has Oscar Keesee an invalid husband. 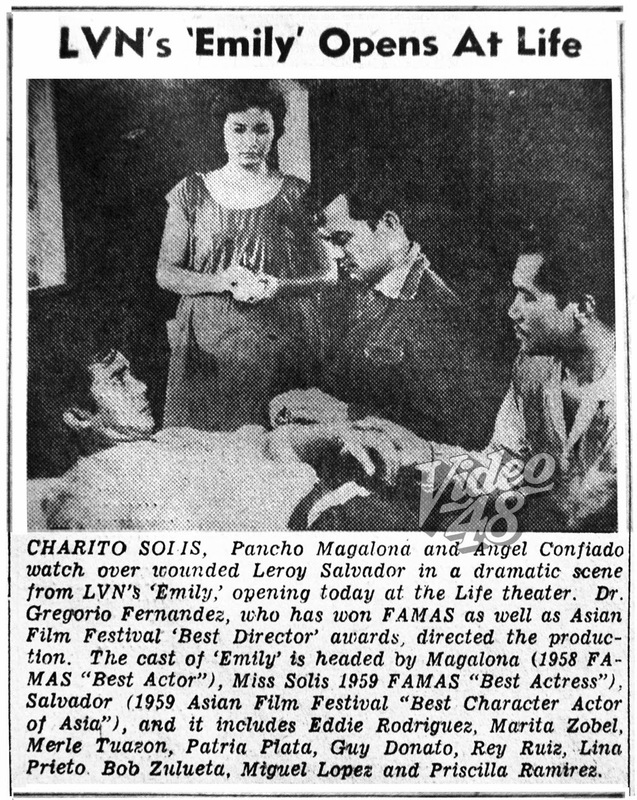 His wife, Arsenia Francisco loves him. 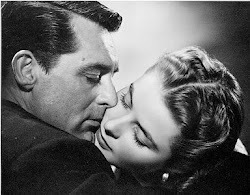 She does not want to be unfaithful, but the situation drives her to the company of another man. 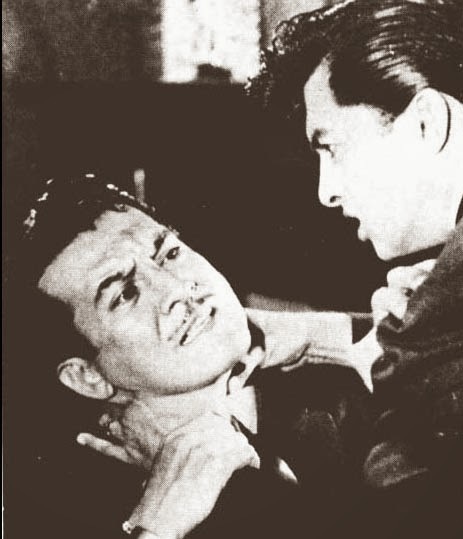 Cesar Ramirez, son of Oscar Keesee, is a businessman. Deeply taken up in his business, he neglects the social life of his wife, Cynthia Zamora who, in turn, is driven to the company of another man. 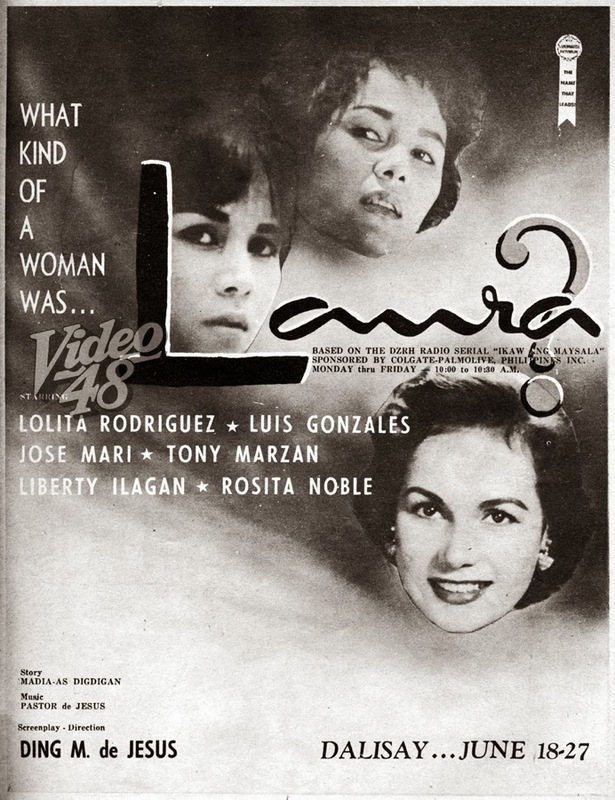 Left by his wife, Cesar Ramirez, in a moment of drunkenness, mistakes Aura Aurea for his wife. 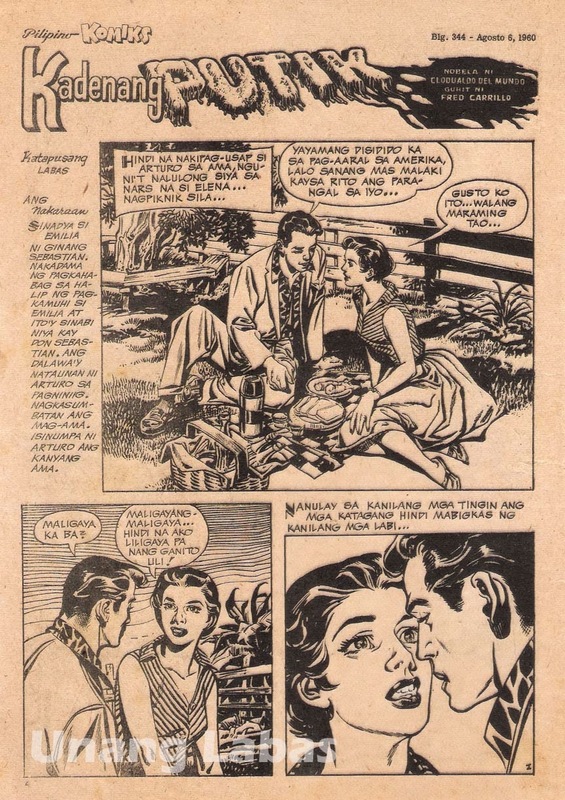 A try at abortion by Aura fails. 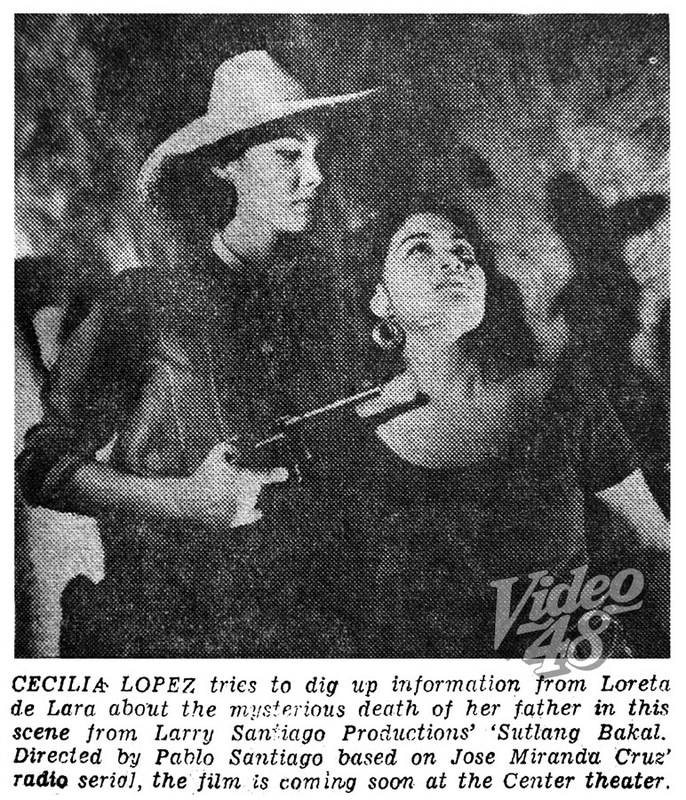 A kidnapping attempted by Cynthia also fails. 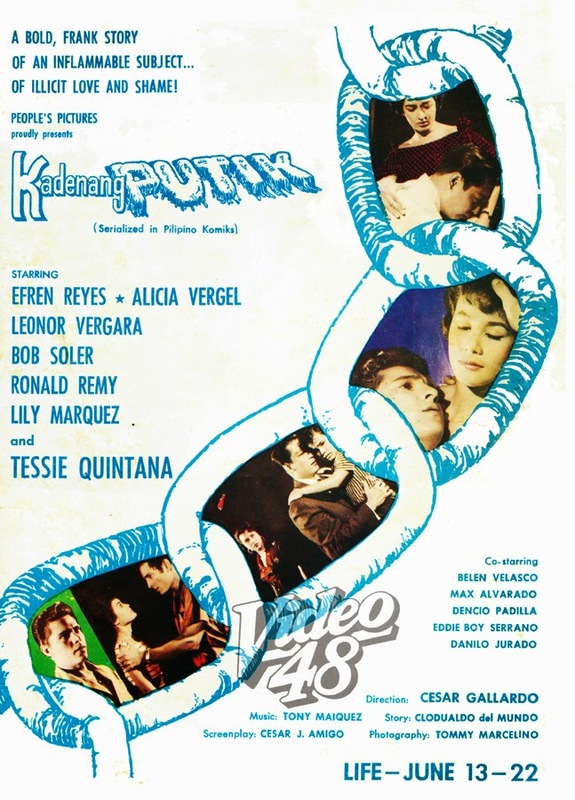 In the end, Arsenia Francisco, Cynthia Zamora, Ramon D’Salva, the other man, die violently. 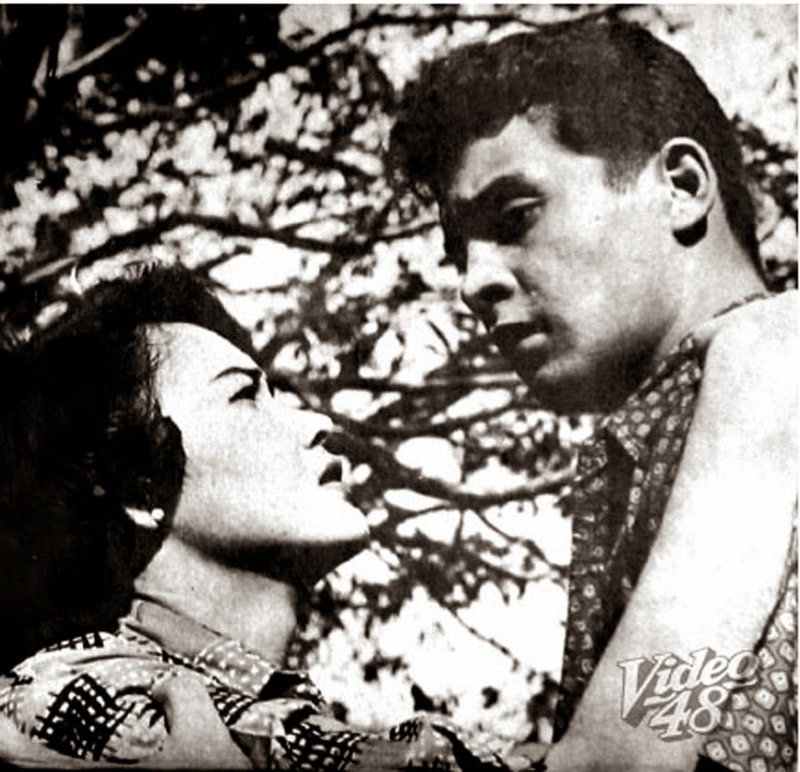 Cesar Ramirez marries Aura Aurea. 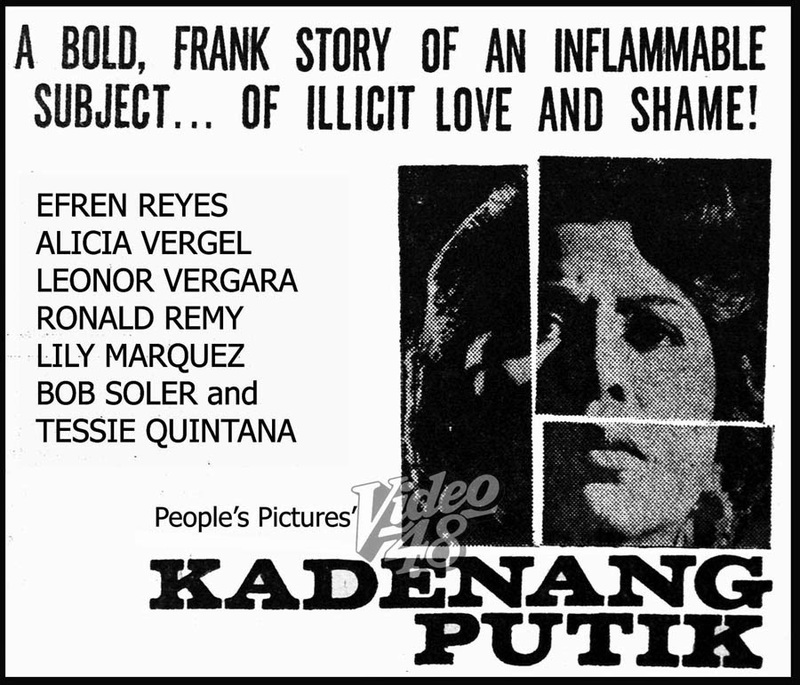 The censorable situations--- marital infidelity, abortion and kidnapping--- were presented in the picture as condemnable ones. 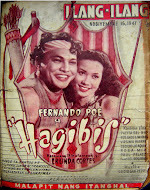 The movie, which was reconsidered and reviewed again, was later permitted to be shown with cuts. 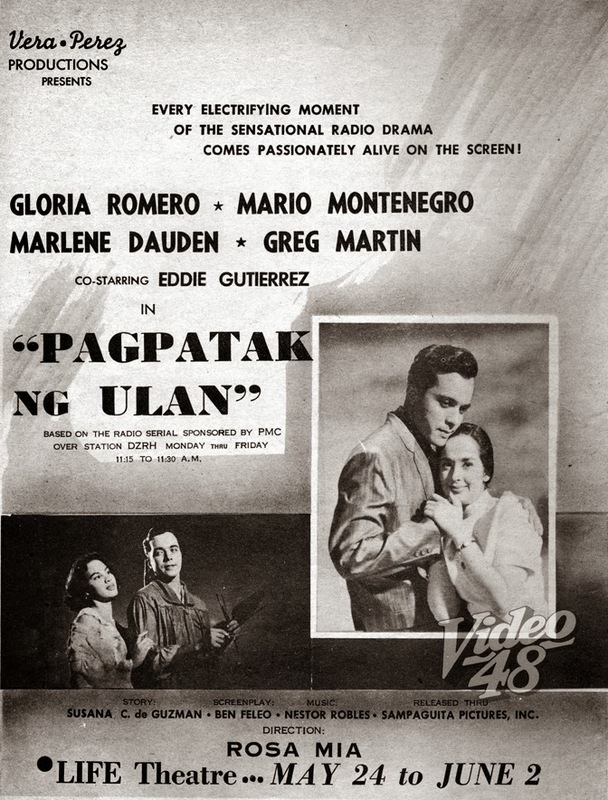 Manong Gerry cried foul--- his movie was severely mutilated by the censors. 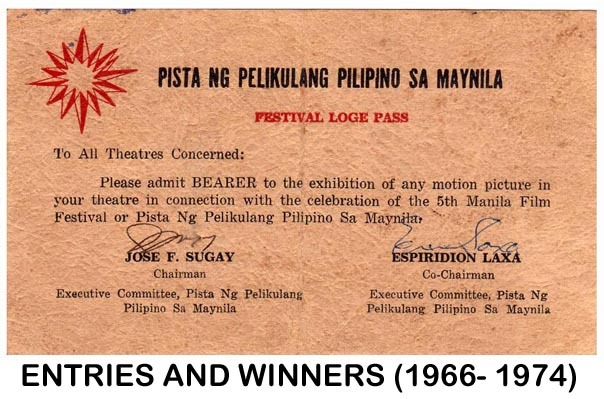 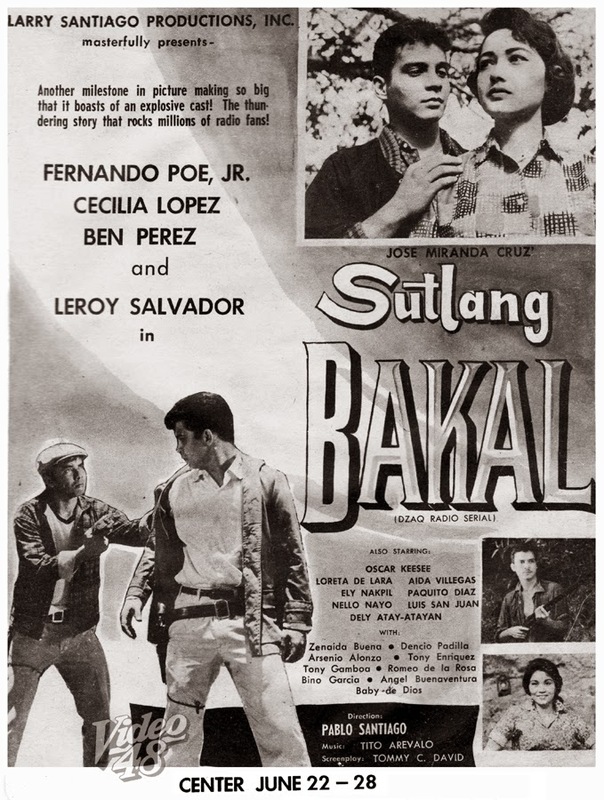 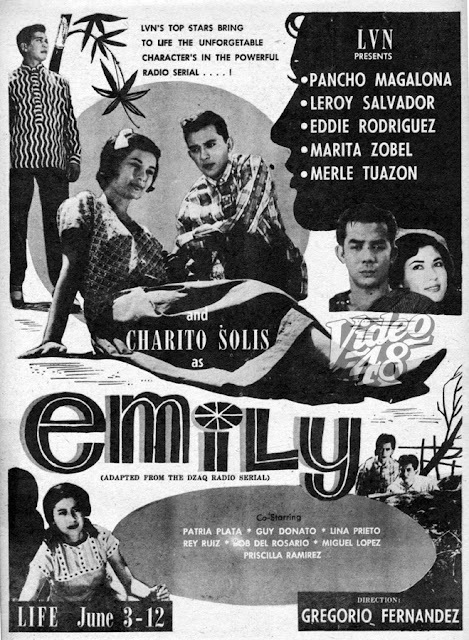 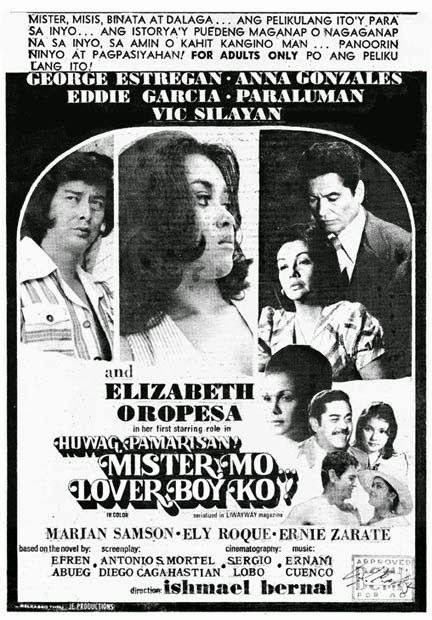 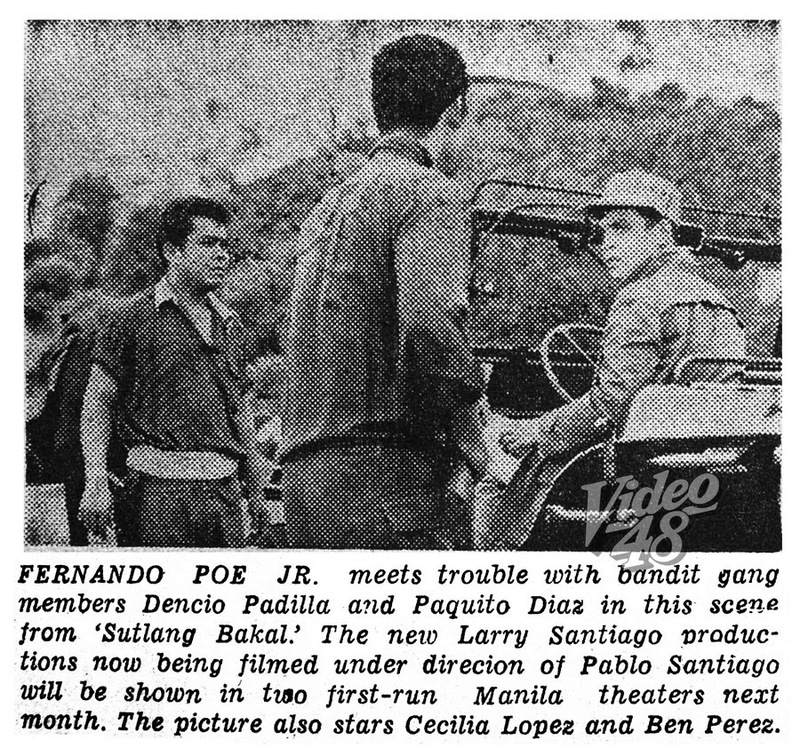 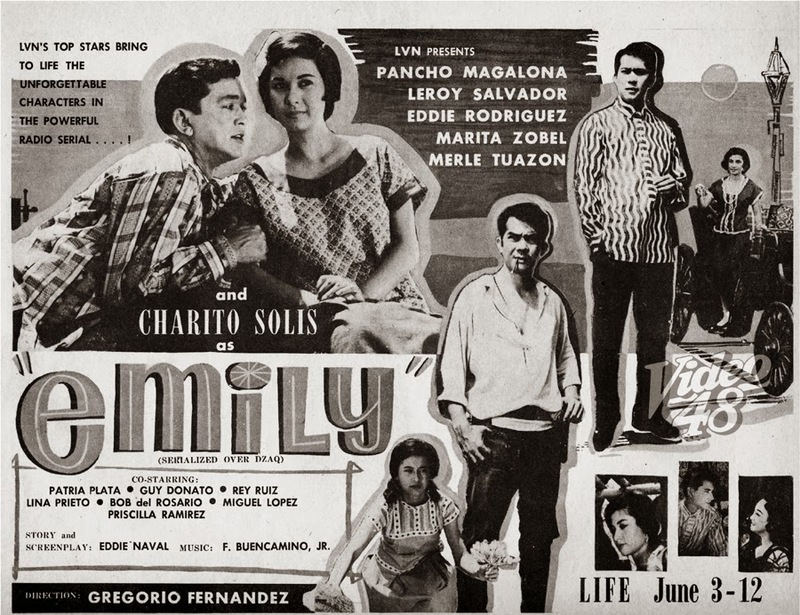 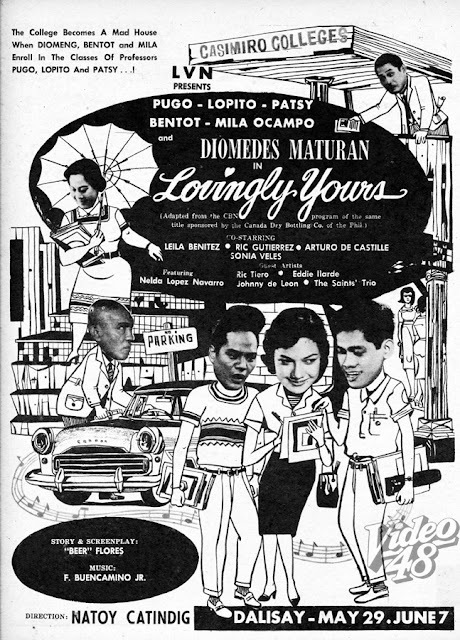 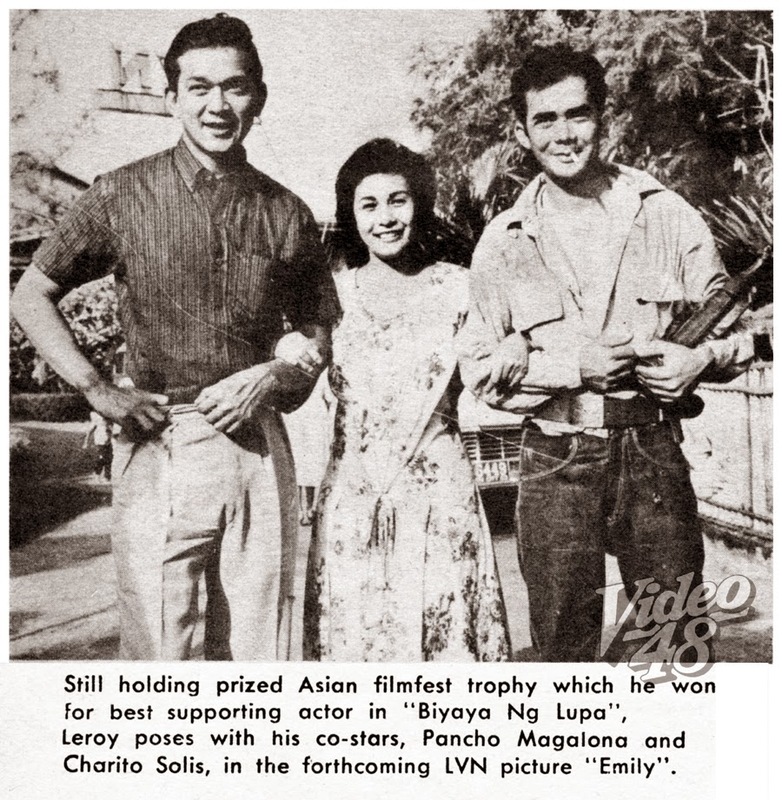 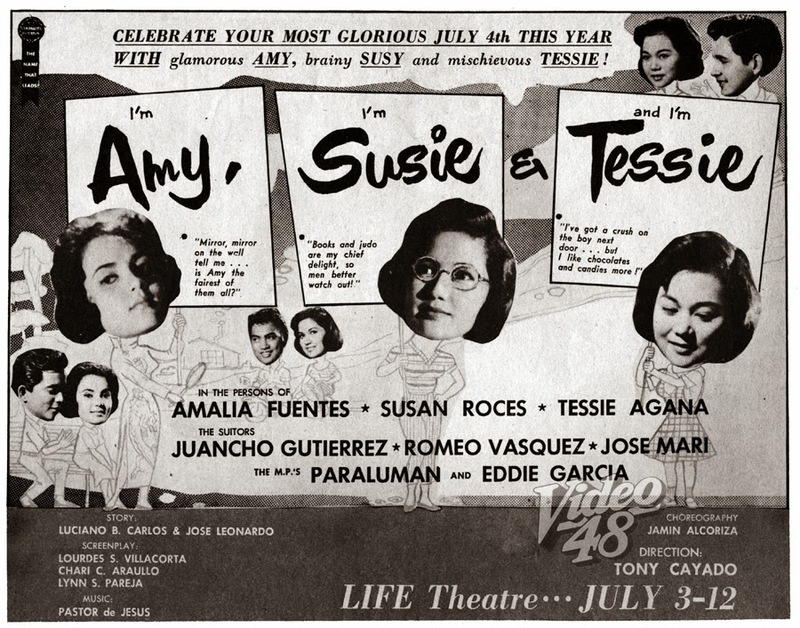 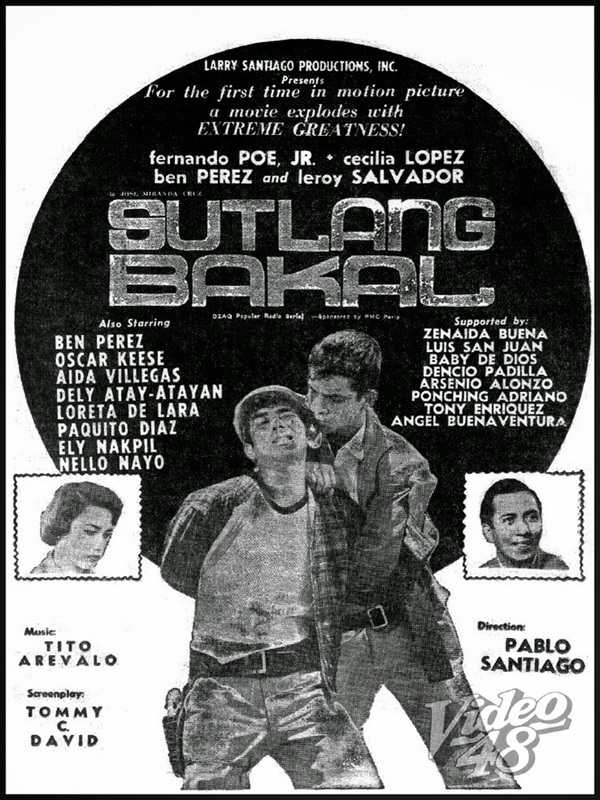 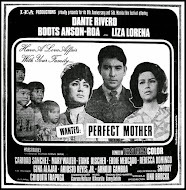 The movie went on to win and romped away 8 Famas awards--- Best Picture; Best Director (Gerry de Leon); Best Supporting Actor (Oscar Keesee); Best Supporting Actress ( Arsenia Francisco); Best Cinematography (Ricardo Marcelino); Best Film Editing (Gerry de Leon); Best Musical Scoring (Tito Arevalo) and Best Sound (Demetrio de Santos). 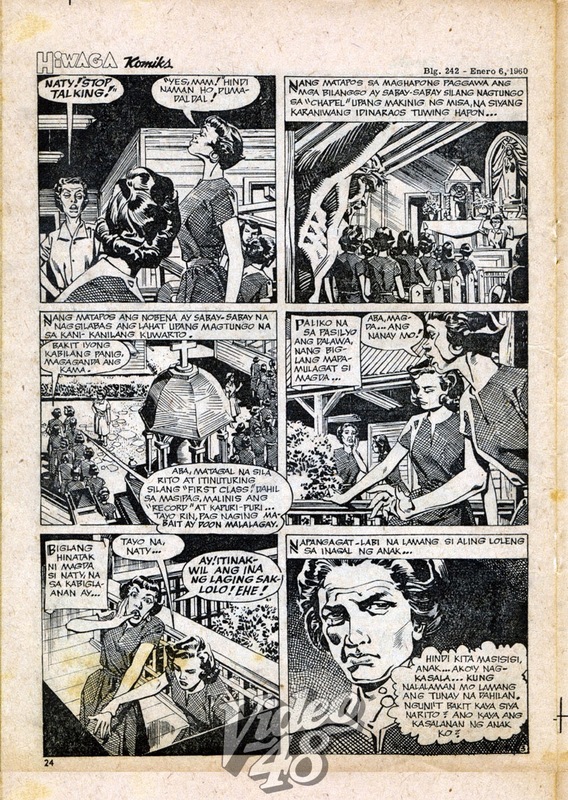 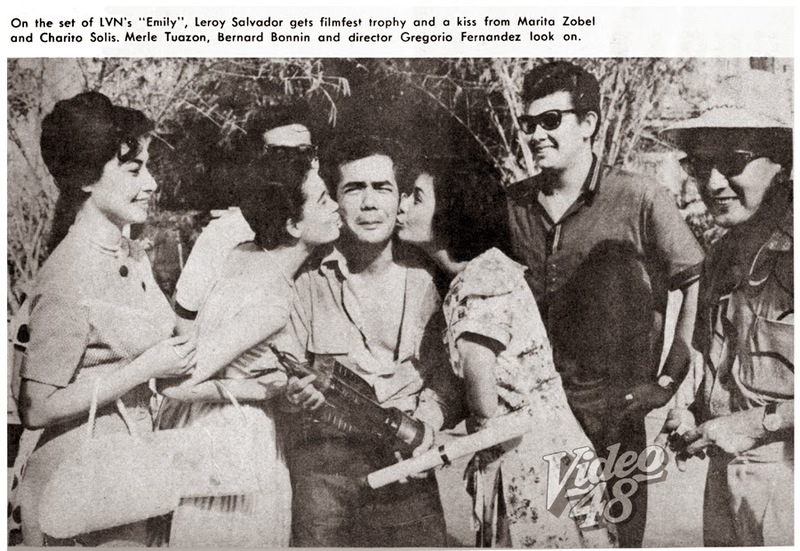 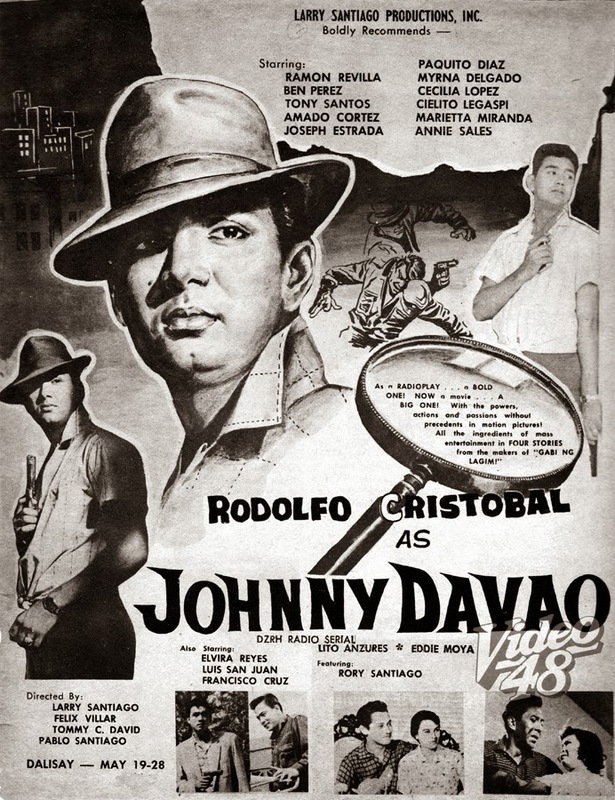 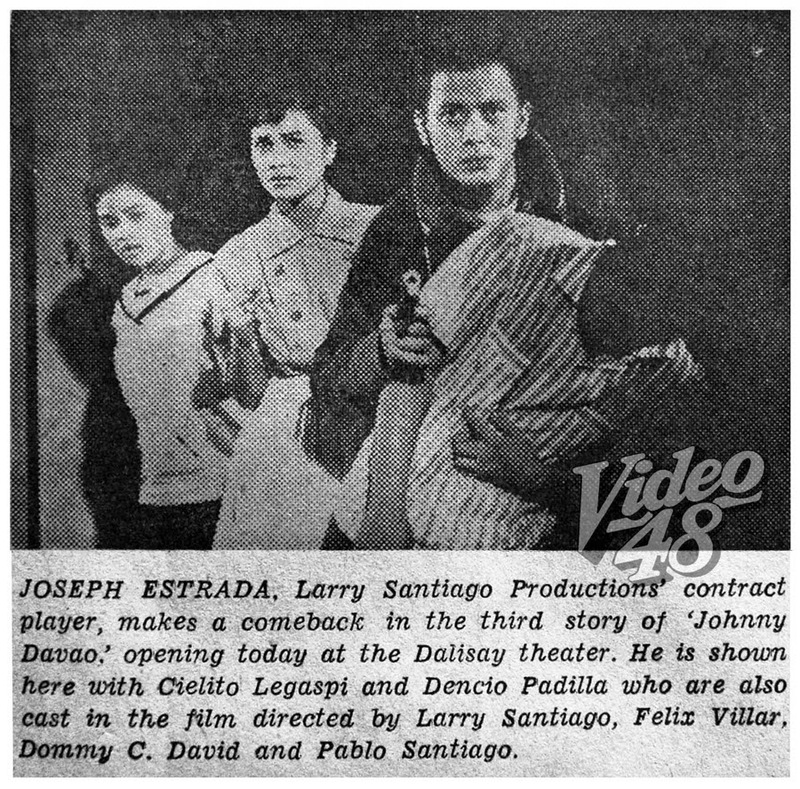 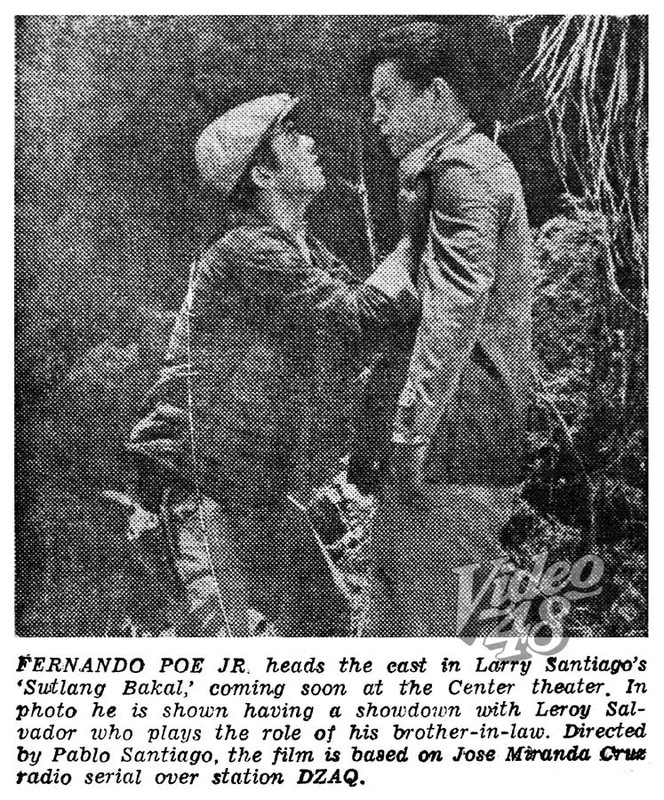 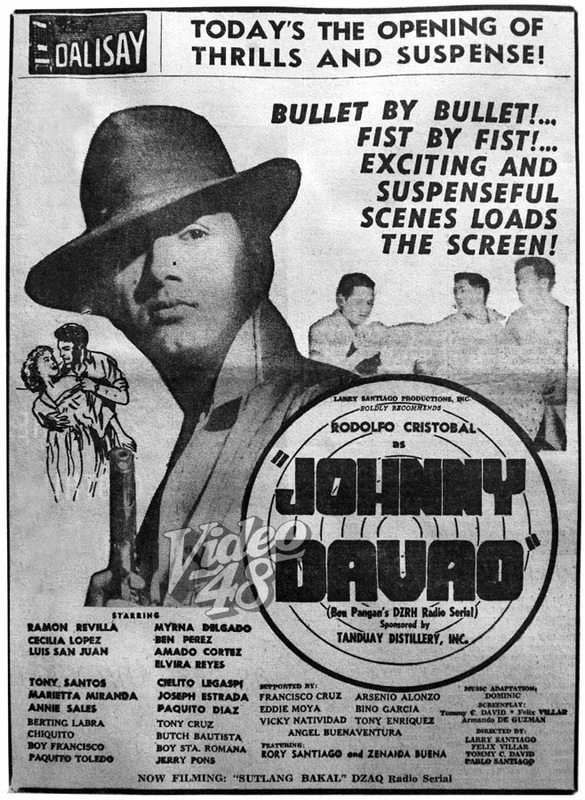 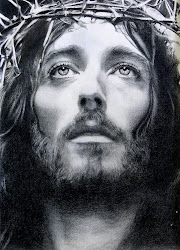 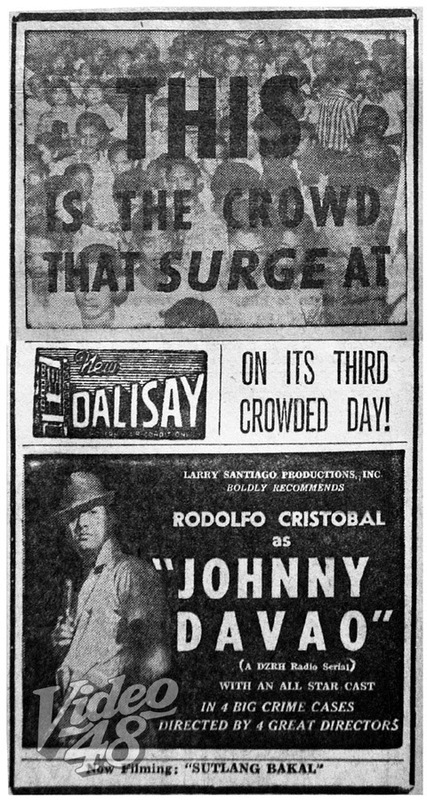 THE SIXTIES # 34: RODOLFO CRISTOBAL (IN THE LEAD ROLE) IN AN ALL-STAR CAST, FOUR STORIES, FOUR DIRECTORS IN "JOHNNY DAVAO"